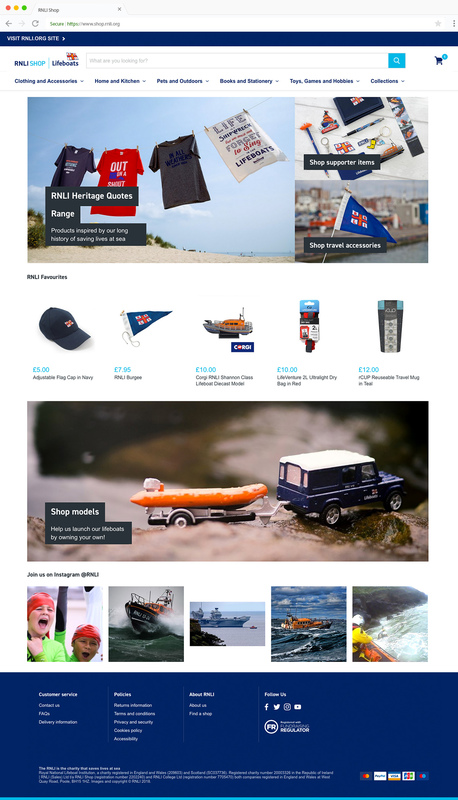 The RNLI is the charity that saves lives at sea. The charity provide, on call, a 24-hour lifeboat search and rescue service and a seasonal lifeguard service with 2016 saving 431 lives and 20,538 people aided by RNLI lifeguards. 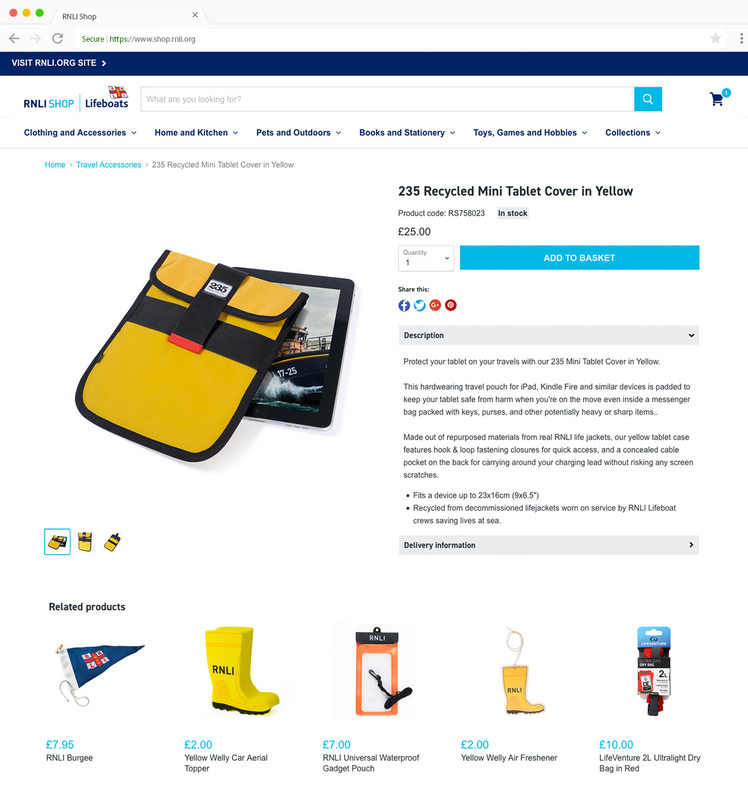 It costs around £485,000 a day in 2016 to run the RNLI and the charity depends on revenue from the shop and donations to continue to do the work they do. After issues with their previous online shops backend system, the charity left the ecommerce scene for a period of time whilst they reviewed their ecommerce strategy. Upon looking to re-launch, the team were after an agency they could trust to deliver results and a platform they could depend on to perform all year round. Shopify Plus was chosen as their platform of choice due to its robust infrastructure and scalability, all whilst giving them the ability to mould the new shop to their precise requirements. The charity chose our team to complete the project due to our extensive experience in the charity space and our extensive knowledge of the Shopify platform and the Shopify Plus features they needed utilised. Our team supported the charity throughout the build of the new online shop, starting with a workshop at their headquarters to showcase the team the ins and outs of Shopify, our development processes and to support the various internal teams with their queries. 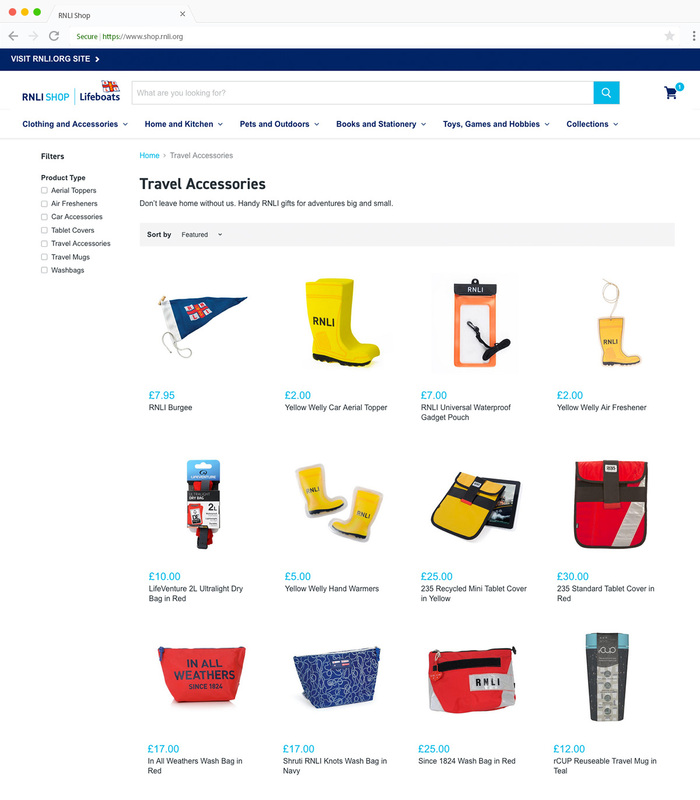 The store was developed to match the style of the key informational site the charity has and custom cart features were integrated to comply with GDPR and the charities legal requirements. Alongside this, Shopify Plus unique features were integrated and customised to achieve the experience the charity desired as well as unique integrations throughout to better the customer experience. Post launch our agency has supported the charity to further develop the store.